It is time to think about SIMA again! As in the past, I share here on an announcement from the SIMA organizers at the National Museum of Natural History, Smithsonian Institution. Read on to learn about a great opportunity for graduate students in cultural anthropology and neighboring fields. The Summer Institute in Museum Anthropology (SIMA) is a graduate student summer training program in museum research methods offered through the Department of Anthropology at the Smithsonian Institution’s National Museum of Natural History with major funding from the Cultural Anthropology Program of the National Science Foundation. During four weeks of intensive training in seminars and hands-on workshops in the research collections, students are introduced to the scope of collections and their potential as data. Students become acquainted with strategies for navigating museum systems, learn to select methods to examine and analyze museum specimens, and consider a range of theoretical issues that collections-based research may address. In consultation with faculty, each student carries out preliminary data collection on a topic of their own choice and develops a prospectus for research to be implemented upon return to their home university. Instruction will be provided by Dr. Joshua A. Bell, Dr. Candace Greene and other Smithsonian scholars, plus a series of visiting faculty. Graduate students preparing for research careers in cultural anthropology who are interested in using museum collections as a data source. The program is not designed to serve students seeking careers in museum management. Students at both the masters and doctoral level will be considered for acceptance. Students in related interdisciplinary programs (Indigenous Studies, Folklore, etc.) are welcome to apply if the proposed project is anthropological in nature. All U.S. students are eligible for acceptance, even if studying abroad. International students can be considered only if they are enrolled in a university in the U.S. Members of Canadian First Nations are eligible under treaty agreements. Costs: The program covers students’ tuition and shared housing in local furnished apartments. A stipend will be provided to assist with the cost of food and other local expenses. Participants are individually responsible for the cost of travel to and from Washington, DC. 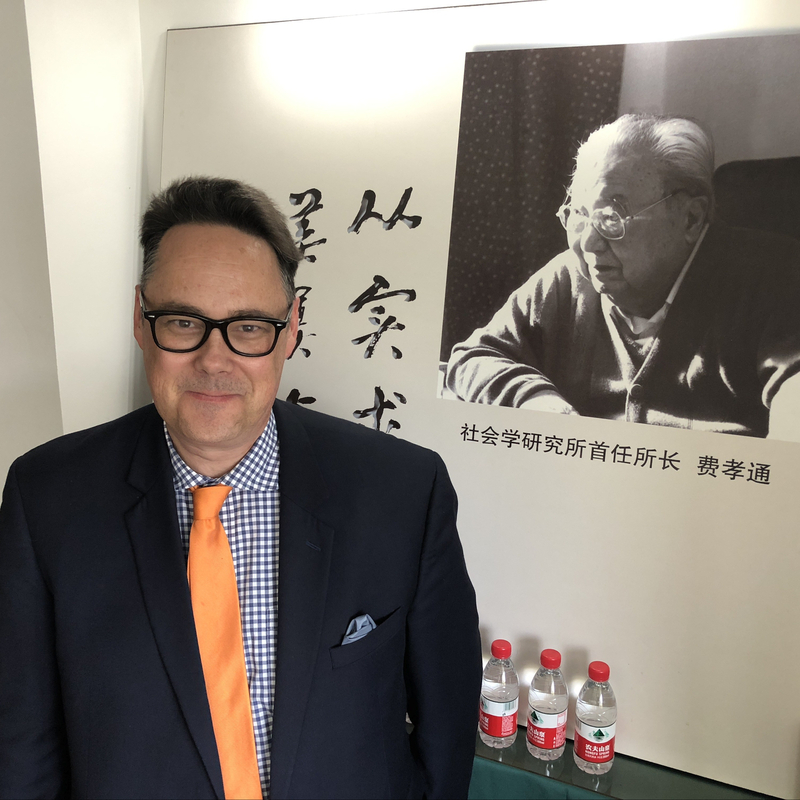 This post is the next in my series of reports on the trip to China that American museum colleagues and I took in December 2017. The Beijing posts (1, 2, 3, 4, 5) were about the time that we spent in transit to Nanning, where the core of our work on the trip would begin. This is the first post to share a bit of what the trip was about, explaining what we were up to in Guangxi. Our work in Guangxi is the reason for the trip and Lijun was crucial to the planning and the doing of both parts of that work. As called for in our proposal to the Henry Luce Foundation and planned for in our partnership discussions with the Anthropological Museum of Guangxi, this trip (the first of four during the current phase of our work) had two parts–a training workshop at the museum in Nanning and then a period of jointly pursued fieldwork in Nandan County among the Baiku (White Trouser) Yao people. This post is about the training workshop, an event for which Lijun’s bilingual skills and bi-national scholarly background were essential ingredients. Zhang Lijun facilitating discussion during the first day of the Workshop on Ethnographic Methods in Museum Folklore and Ethnology held at the Anthropological Museum of Guangxi, Nanning. December 11, 2017. Photograph by Jason Baird Jackson. Wang Wei, the Director of the Anthropological Museum of Guangxi, is an leading scholar in paleoarchaeology with a deep history of participating in high-level international research collaborations and a strong record of publishing in international science journals. This experience has shaped his goals for the museum’s research staff. He is eager for them to also have international research experiences and opportunities to work jointly on publication as well as exhibition projects. Those goals are part of what we are up to in the current phase of cooperative research. They also motivate his providing generous support for our joint work. Those of us connected to the American museums share these aspirations. During this event, American and Chinese participants, drawn from the partner museums, gave bilingual presentations on fieldwork methods as these pertain to work of museums of ethnography. About sixty attendees attended the workshop. Some were students affiliated with universities in the city of Nanning and, as initially anticipated, quite a few were members of the Anthropological Museum of Guangxi’s research and collections staff. There were also working ethnographers from various agencies in the city. A fourth group of attendees were staff members drawn from the ten local eco-museums with which the Anthropological Museum of Guangxi partners in its 1+10 eco-museum collaboration. These eco-museum representatives are members of the local minority groups that their institutions serve and they are active with impressive cultural documentation work in their home communities. The workshop sessions, which all took place at the museum, were well-attended and well-received. The workshop program was comprised of seven presentations interspersed with questions and discussion. All were illustrated with bilingual slides and all were translated into the language (English or Mandarin) not spoken by the presenter. I presented an overview of ethnographic methods in the contexts of research design and the goals of museum work. My presentation introduced and connected the topics to be addressed by the other presentations. I was followed by Marsha MacDowell (Michigan State University Museum), whose presentation focused on interview methods. Jon Kay (Mathers Museum of World Cultures) focused on survey methods as well as on video documentation techniques. Carrie Hertz (Museum of International Folk Art) explored the uses of still photography in research, exhibitions, publication, and other museum activities. Kurt Dewhurst (Michigan State University Museum) presented on the use of existing collections in new field research and on the role that new ethnographic work can play in re-contextualizing such collections. Gong Shiyang (Anthropological Museum of Guangxi) presented on the role of eco-museums as research centers and on the partnership linking AMGX and its 10 partners in Guangxi. Fan Miao Miao (Anthropological Museum of Guangxi) presented on strategies for ethnographic research on dress and adornment practices. At the conclusion of the workshop on December 12, research participants from the three U.S. partner museums, from the AMGX and from the Baiku Yao Eco-Museum in Nandan met to discuss the research plan for the joint fieldwork that would follow. Here are some pictures from the first day of the workshop. Scenes from the first day of the Workshop on Ethnographic Methods in Museum Folklore and Ethnology held at the Anthropological Museum of Guangxi, Nanning. December 11, 2017. Photograph by Kurt Dewhurst. Scenes from the first day of the Workshop on Ethnographic Methods in Museum Folklore and Ethnology held at the Anthropological Museum of Guangxi, Nanning. Here workshop participants visit the museum’s ethnobotanical garden and discuss local dye plants. December 11, 2017. Photograph by Marsha MacDowell. Scenes from the first day of the Workshop on Ethnographic Methods in Museum Folklore and Ethnology held at the Anthropological Museum of Guangxi, Nanning. December 11, 2017. Photograph by Carrie Hertz. Scenes from the first day of the Workshop on Ethnographic Methods in Museum Folklore and Ethnology held at the Anthropological Museum of Guangxi, Nanning. This image shows the back of the museum as seen from the “Miao House” located on the museum grounds. December 11, 2017. Photograph by Carrie Hertz. Scenes from the first day of the Workshop on Ethnographic Methods in Museum Folklore and Ethnology held at the Anthropological Museum of Guangxi, Nanning. December 11, 2017. Photograph by Jason Baird Jackson. A copy of the Chinese edition of Writing Ethnographic Fieldnotes attended the Workshop on Ethnographic Methods in Museum Folklore and Ethnology held at the Anthropological Museum of Guangxi, Nanning. December 11, 2017. Photograph by Jason Baird Jackson. Here are some images from the second day of the workshop. Kurt Dewhurst (L) presenting during the second day of the workshop. December 12, 2017. Photograph by Carrie Hertz. Scenes from the 2nd day of the workshop. December 12, 2017. Photograph by Jon Kay. Kurt Dewhurst presenting during the 2nd day of the workshop. December 12, 2017. Photograph by Jon Kay. Gong Shiying (L) presenting during the second day of the workshop. December 12, 2017. Photograph by Carrie Hertz. Fan Miao Miao during the 2nd day of the workshop. December 12, 2017. Photograph by Jon Kay. Ai Lan during the 2nd day of the workshop. December 12, 2017. Photograph by Jon Kay. Gong Shiyang during the 2nd day of the workshop. December 12, 2017. Photograph by Jon Kay. Mai Xi (AMGX) serving as a host during the workshop. December 12, 2017. Photograph by Jon Kay. Scenes of the museum campus on the second day of the workshop. December 12, 2018. Photograph by Jason Baird Jackson. One of the temporary exhibitions on display at the museum is an exhibition produced in partnership with the Museum of Women and Children in Beijing (the museum we visited earlier in our trip). This exhibition is interesting because it deals with a classic ethnographic topic (“Brocade Made by Minority Nationalities in China”) in a kid-friendly way. Here are some pictures. Scenes from the temporary children’s exhibition “Brocade Made by Minority Nationalities in China.” This exhibition at the AMGX was co-produced with the National Museum of Women and Children in Beijing. December 12, 2017. Photograph by Jason Baird Jackson. Scenes from the temporary children’s exhibition “Brocade Made by Minority Nationalities in China.” December 12, 2017. Photograph by Jason Baird Jackson.